So last year I was shopping for a mower and got to looking at the sub compact tractors. I was on the verge of buying but I couldn't get over the price. I kept seeing an $18,000 mower, not a tractor. Now that I have the lawn mower, I'm back to looking at tractors to do some work. Strip out the turf under that deck and put down weed block and stone. Pull up about 100' of chain link fence and posts around the current garden area and put in about 150' of chain link fence and posts for the new garden area. Clean out the existing garden area that is WAY overgrown and pull out the 2" and smaller saplings that have grown up through the fence line. Till a 20x50 garden area. Clear out the tree line between our property and the neighbor's shared driveway. Clear snow from the 500' driveway. Level out the really bumpy sections of the yard. First, what do you guys think? A sub compact or a compact tractor? Sub compact is maneuverable, compact has the ground clearance. I plan on used, unless the numbers don't pan out due to the financing deals the dealers have. Hard to justify used if the new one is 0% for 84 months, almost like it is free money. What would be the limit in number of hours you would consider for a used tractor? I know it depends on how it was maintained, but there has to be a limit where you won't even bother taking a look. I would go larger than smaller. My first thought is ... will it be cheaper to rent a tractor for the days you need with the right implements required for the task of the day, over buying one with all of the right implements. If you buy used, and you do not know alot about tractors, it might be a good idea to take a tractor mechanic, or someone who wotks with them alot to go with you. Tires -- Tractor tired can be stupidly expensive. Get beet juice in the tires for weight/traction. Some tractors are still very good at 4k-5k hours on it. If you buy new, you might look into buying the implements used. Initial purchase would likely be just tractor and loader. If it ends up better for me to go with a new John Deere, I know they often have pretty good discounts on getting a second implement with the purchase, last year it was $900 off when buying with a 2nd implement. I was looking at a stump grinder last night and it requires at least 20 PTO horsepower. So I'll be keeping that in mine. In all honesty, though, I could borrow my neighbor's tractor, he has several. He would let me, but I really don't like to borrow something that big from a friend. I just think about what happens if I do something wrong and break it. Of course I'd get it fixed, but it changes a relationship. 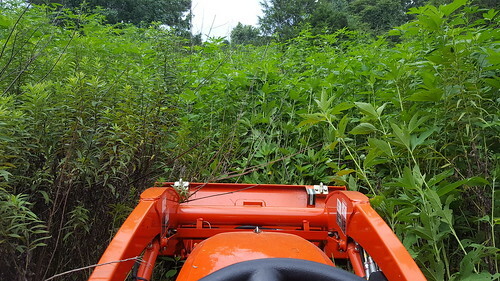 I'm still happy with my Mahindra 3016HST after 2½ years, but I've only used it for mowing weeds and pushing snow around. I can't guarantee it would be perfect for all the things you want to do, but it's probably worth looking at the Mahindra brand as a money-saving option (especially if you end up buying a new tractor). Regarding snow: a front-end-loader bucket plus a rear blade is what I've got, and it's not ideal for the task. Mahindra's FEL has a nifty quick-release for the bucket, so that you can replace it with other implements, but unfortunately the only other implements available are a pallet fork and a hay bale spear. If they had a snowplow blade I'd buy it in an instant. Last year when I was shopping, the Mahindra dealer didn't seem to have any interest in helping me. I went in and told him what I was looking for. He leaned back and pointed to where the brochures were located. That was it. They are also a New Holland dealership, but last year New Holland didn't have sub compact tractors. They didn't come out with the Boomer 24 until after I stopped shopping. At least that's what that dealer said. If I go new, I'll likely stick to the sub-compact tractors, just because of price. The larger tractors, new, are out of my price range. That's a pity. Yeah, I'd avoid doing business there. I have a Kubota BX2370, it could do most/all you listed, though it may take a bit longer since it's a sub-compact vs the B series compact. I have a 4' tiller, box blade, rotary mower (bush hog), carry all (from TSC). The tractor came with a front end loader and the mid-mount mower. My primary use for the tractor is as a mower. I have 2 acres at home, and I maintain 22 acres (mostly wooded) for a hunting cabin/recreation property. 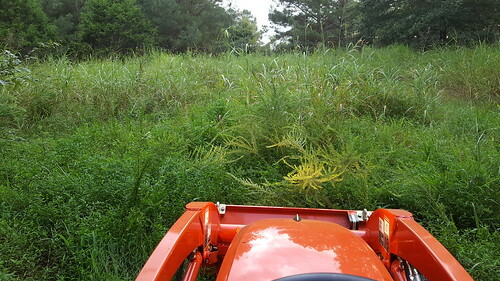 On the hunting land I have 4-5 acres that is mowed/bush hogged a few times a year, in addition to using the box blade to maintain a 150yd driveway. If you are not planning on using the compact/sub-compact tractor as a mower, you could step up to Kubota L-series, I think it's still listed as a compact but it would be on the larger size, there is no mid mount pto on the L series (except for the L-Grand). Level out the really bumpy sections of the yard. - I'm doing this now. Due to a recent construction project and having the cement trucks drive on the yard. FEL/BB combo working great. 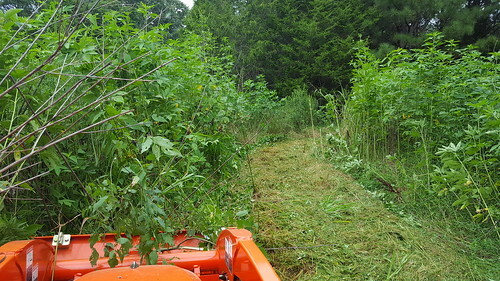 Brush hog the "meadow" that's planted with wild flowers, maybe till that and re-plant it with bee forage - yup, smaller cutting path with the BX but still get it done. We had a real good salesman for our Kubota purchase, talked me out of the B series as I just wouldn't need the extra umph enough to justify the cost. Yes there have been times it would have been better, but those are few and far between. The major drawback with the BX (and most Sub-Compact's) is the limited CAT-1 3 point. They just don't have the same lift height and use a smaller top-link. They are still usable, you just have to keep that in mind. For the size of your property and what you want to do I don't think I would go larger than a B, but the BX would work for most, if not all, you need. I'm not sure what incentives Kubota is offering now, but last year I got 0% financing and, I think 2k off due to getting the extra implements (BB & BH) (FEL & MMM were part of the tractor price). There are no limits on a used tractor, you have to look at the tractor and make that determination. My FIL and an old Massy, bigger than my BX but we use my BX more than his Massy. Final though, if you look at a used tractor and are looking for hydraulic leaks, do not, I repeat DO NOT have the tractor running with pressure on the system and use your hand thinking you'll just get a bit of oil on you. That oil can be under extreme pressure and will be forced into your body. Use a piece of cardboard or paper to check for pressure leaks. I bought new mainly because my last several 'used' purchases were really buying someone's headaches and I didn't want that. Oh, and even though the local John Deere Dealership is about 3 mi from my house, I drove 45 min to my Kubota dealership because I couldn't get the JD guys to talk to me. Yeah, I don't really have this problem right now. My neighbor plows it and has a business doing that, so it's done for me. However, he's getting older and he sometimes gets stuck at the job site clearing snow, so occasionally I'll need to do it. I know a sub-compact will do everything I have listed. My only concern is the lack of ground clearance. I will likely go with a sub compact. Also most of the sub compacts no longer have a limited Cat 1. They have learned from the complaints about the limited nature of their 3 point hitch. Just stumbled upon a LS dealer and a TYM dealer that's within about 30 minutes. I don't know a lot about them, but they both use a Mitsubishi diesel engine in their compacts and a Yanmar in their sub compacts. People that own them, seem to like them. I haven't heard much negative. This is just my opinion, so it's worth what you paid for it. I've been on/in tractors from ~20hp on up to ~140hp. I don't think much of a "tractor" below about the 35-40hp level. Anything below that seems more like an overgrown lawnmower to me. I only see a couple of things on your list that would need a tractor. Other things, like the post holes, can be done without a tractor...and if that tractor doesn't have downdraft hydraulics, it won't run a post hole auger very well anyway in my experience. You can sort of get around that issue if it has connections/controls for remotes by putting a hydraulic cylinder in place of the top link. A PTO drive tiller is only good for the spring/fall tilling of the garden, unless you're spacing everything wide enough to accommodate it. I doubt that's the case with a 20'x50' plot. You'll also need 25+ PTO hp to drive a typical 4' tiller. Apparently the ones with an extra gearbox and chain drive require less, probably due to more gear reduction. For a plot that size, I just don't see spending $1500 on something you use for half an hour once or twice a year. Hire it out, or use a rear tine tiller with counter rotating tines(which you probably already have). You also won't need to "till" a meadow. You'd want a disc plow for that, just to break the surface up a bit so the new seed takes. These can be had small enough to pull behind a lawn mower/ATV or large enough to make a 550hp tractor grunt when they bite in. Most of the spreading/smoothing/material hauling can be done a lot faster with a skidsteer, and the skidsteer is a lot more maneuverable. Also think twice about putting water(or other liquid) in the tires to add weight. My uncle had a pretty light 35-40hp Case that it worked fine on. When he tried it with his 55hp Massey, he started breaking lower link pins on his equipment. More traction isn't always a good thing. For what you've listed, I'd hire the equipment work done, rent the equipment, or bribe the neighbor to do it with free beer. On the other hand, if you have enough acreage to maintain the investment might be worthwhile. From what you posted though, I don't get that vibe. Anything below that seems more like an overgrown lawnmower to me. Yup. And always consider resale even if you don't plan on selling it. I know that most of the stuff on my list can be done without a tractor, but I know me. Everything that gets done on the property is done by me. The wife will offer to help, but it just causes arguments. I'm no longer as young as I was and I wake up pretty sore after a a day of hard work. I put things off because I know I'll be sore and won't have any help. I also know that I despise paying someone to do something that I can do myself. All of this together means that the work that needs done on the property doesn't get done like it should be. You also won't need to "till" a meadow. You'd want a disc plow for that, just to break the surface up a bit so the new seed takes. It's not really a meadow. I had a geothermal system put in a couple of years ago. The buried hose gave me 3 sections of the lower part of the yard 6' wide and 150' long that are mounded and rutted. Between these are sort of aisles about 6' wide full of grass. Currently these rows are wild flowers, and wild growth. I'll be tilling up this, along with the grass to give me a garden of sorts to grow forage for the bees. Since most of that is annual, I'll have to replant each year. Since one of the implements that will be used in the garden is a tiller, that's what I'll use initially anyway. As for tractor HP, talking to the JD dealer in the Fall, he showed me his stats for the previous year the vast majority (like in the 70% range) of the tractors he's sold over the past couple of years to homeowners (not the farmers) were under 35 HP. Might be a regional thing. And that's what I give my neighbor that plows the long driveway. He likes Heineken. He works full time, tends his cattle and is constantly working with his tractors. He would do anything I asked him, but that's taking advantage of his generosity. I have a John Deere 4010 compact tractor. Has a loader on it. It has served me well for the last 10 years taking care of most tasks at The Compound. It might be a little under powered, but I've learned some tasks just take a little longer. The smaller frame also allows it to maneuver through the wooded areas much easier than a larger machine. 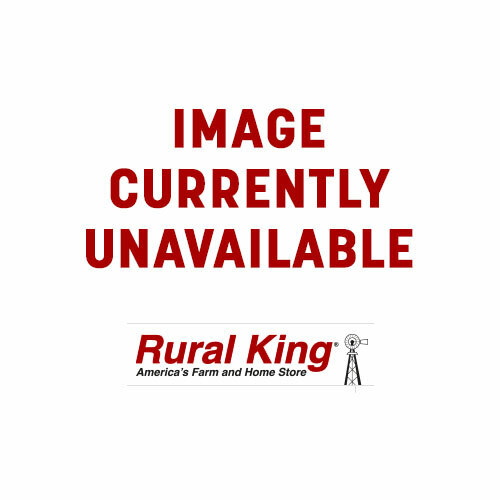 I have a Cub Cadet for mowing 3 acres and also have a DR Mower with multiple attachments. I keep trying to reduce the number of power units with more attachments. Less things to keep running. My 2 cents: I am not a full time farmer, nor was I raised on a farm. I have a New Holland 1925 (34HP hydrostat) with FEL that I bought used with 1000 hrs. It came with a 5' rotary cutter. I have purchased 5' finish mower, 16" single bottom plow, 12" double bottom plow, 5' disk, 5' tiller, 5' box blade and 5' grader blade, 7' cultipacker. All implements were purchased used or at deeply discounted clearance sales over a 10 year period. I have a 12 acre field, 112 acres of woods, gravel roads and dirt roads. These are some observations I have made over the years. Make sure your trailer is up to the job of moving your tractor. You ARE going to move it. Learn how to load and unload your tractor without ramps. You are going to use your tiller more for others than for yourself. Bottom plows are best not used by compact tractors in heavy clay soils. You cannot work up acres at all with a disk when it hasn't rained in a month. You are going to curse 3 point hitches and wonder how all the mentally deficient farmers you've known can do this, while you cannot. Box blades and grader blades have unique attributes and should not be substituted for one another, except to push in reverse. If you can only buy one, go grader blade. You will spend more time mowing than anything else. 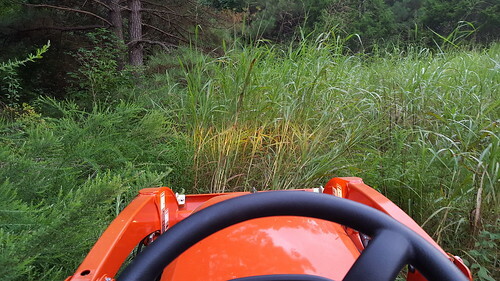 Keep all mowing equipment in top notch shape. AND SHARP. Replace rotary mower blades in sets. KEEP SHARP. Learn how to replace U-joints. Respect PTO shafts. They will kill. A New Holland 1925 is not big enough for logging use. It is not a skidder. You might die in your woods doing something stupid. Go to Wranglerstar's YouTube page and look at his tractor. It's a Yanmar, very nice. Developing a 30 acre homestead from bare land. While the saying "the right tool for the right job..." goes a long way, you would be surprised what a sub compact tractor can do. I have a Kubota bx25 and it has helped us turn 30 acres of raw land into a homestead (trenching, cutting roads, brush hogging, tilling etc). In 1.5 years I have put 400 hours on it. Only a few occasions I brought in heavier equipment whenI knew that the BX wasn't the right tool by a long shot. The guy I bought it from worked for kubota and he said that the engines can go thousands of hours. But as you get higher in hours it is a matter of other things getting worn out. With 400 on mine I have started to notice small things like bushings wearing etc. While this tractor serves me 90% of the time, I might go with an L instead next time, trading off the agility and tight squeezing ability of the BX for some more muscle. PS - I also tuned up the hydraulics on the BX which made a world of difference. Actually felt like a real tractor after doing that. Thanks for the input. I'm leaning towards something a little bigger now, mainly for the ground clearance. I think I mentioned in a previous post that in my area, there's so many people with a lot of money and buying the subcompact tractors that the on the used market, the sub-compacts are just about the same price as the bigger ones. Actually felt like a real tractor after doing that. BTW, It is a real tractor, just small. A lot depends on whether you want to keep up with the Jones or not. A lot of people won’t even look at a used subcompact that is not pristine. Faded paint, torn seat, and busted headlamp lens can drop the price by THOUSANDS. I got my Kubota B1550 for $1500. Ran a little rough, torn seat, and busted headlamp lens. $200 later with a new air filter, fuel filter, and fresh diesel, it was running GOOD. As for hours, maintenance is a bigger concern. One of our larger farm tractors (Early 60s IH) has rolled over the hour meter, so 10k plus hours. Has had a crack in the block that was brazed repaired since the late 80’s. Still trucking along! Has had the clutch replaced, but I don’t think the engine has ever been apart. If new, I would pass on a BX series Kubota. B or L series are a nice step up. More like little tractors instead of big riding mowers. My $0.02. Did you make a move on a tractor?